Home /Blog/Free Conquering Mindset 5-Day Challenge! Free Conquering Mindset 5-Day Challenge! Do you need help getting into the right mindset for the new year so that you can achieve your goals? 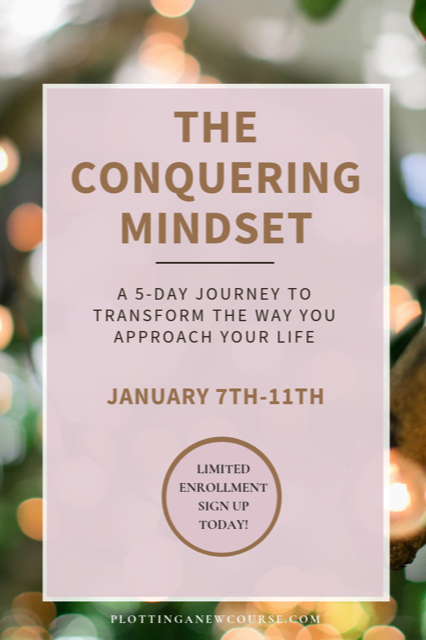 Sign up for this FREE Conquering Mindset 5-Day Challenge that will start on January 7th! When you sign up, you’ll get a 10-page digital workbook to fill out along the way, daily e-mails, access to a private Facebook group, and Facebook live videos to encourage you! This challenge is unique in that it’s not about resolutions or promises. It’s about changing your mindset and learning what’s getting in the way of you accomplishing your goals and dreams!